Newly appointed Secretary of Revenue Bob Kiss and members of his department presented an overview of last year’s budget to lawmakers. Legislators scrutinized the governor’s last minute decision to cut almost $18 million from Medicaid to balance the budget at the end of the last fiscal year, but they were also given some crucial insight into the revenue numbers for this year. To fulfill his Constitutional duties in balancing the state budget, Governor Tomblin cut the state’s Medicaid program by nearly $18 million at the end of the Fiscal Year 2013. But where that money went is still in question by some lawmakers, including House Minority Whip Daryl Cowles. He questioned Secretary Kiss during a Joint Committee on Finance. “What was that money spent on? If we appropriated it to Medicaid, what was that money spent on?” Cowles asked. Director of the State Budget Office Mike McKown , Secretary of revenue Bob Kiss and Deputy Secretary Mark Muchow update the Joint Committee on Finance on the state's budget in the House Chambers. So, it wasn’t spent. Kiss explained the governor made the total Medicaid budget smaller than what the legislature had appropriated for that year in order to keep West Virginia out of the red. But that last minute cut wasn’t the only time Medicaid had been shorted in Fiscal Year 2013. The fiscal year ended before a funding bill passed by the legislature for the program could take effect. That bill would have taken $67 million out of excess lottery funds and put them toward Medicaid. Regular lottery funds were down last year as well. Of the $50 million dollars from that fund that is dedicated to Medicaid, only $29 million actually came in, adding another $21 million to the program’s deficit. In total, Medicaid was shorted about $109 million in Fiscal Year 2013. Director of the State Budget Office Mike McKown said for now, the program is financially stable. “Medicaid’s cash flow is pretty good right now, but by the middle of probably March if we don’t appropriate some money to Medicaid, there’s going to be some cash flow problems,” McKowan said. 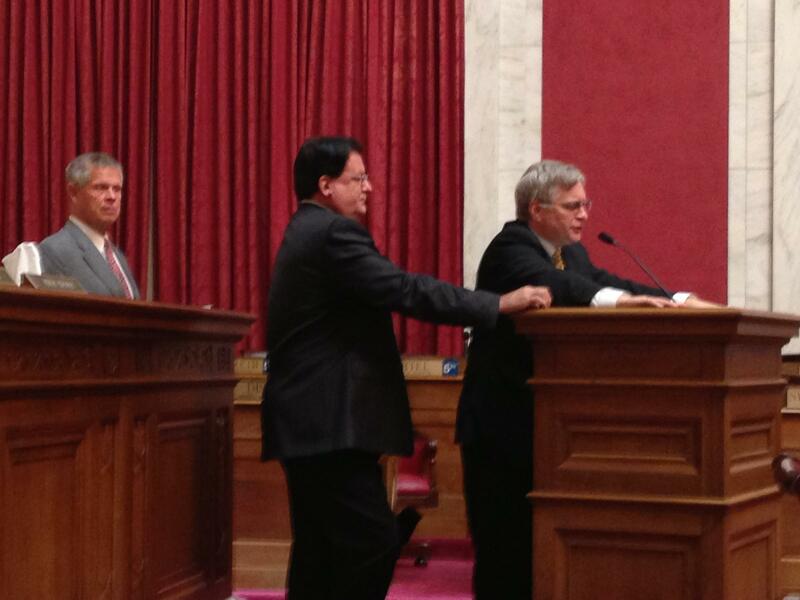 Secretary Kiss reassured the committee the emergency $18 million cut to the program’s funding is not a permanent one. The legislature will be able to restore those funds and the $67 million dollars appropriated from lottery funds is still in the state accounts to be put toward the program. But Medicaid isn’t the only state funded program feeling financial woes. A letter in early August from Kiss and Tomblin asked state agencies to prepare its budgets as if it were taking a 7.5 percent cut. For the second year in a row. Tomblin stressed this was a precautionary measure, but three months into the Fiscal Year, McKown said revenues are already below estimates. McKown did bring some good news to the committee. He said budget cuts have been made without having to furlough or lay off any workers, the state has kept up with retirement contributions and the bond rating is still very good because of a strong Rainy Day Fund, ranked one of the top five in the nation. Currently holding about $907 million, McKown added that fund, however, is not enough to fall back on. If the state lost all sources of revenue, the Rainy Day Fund could only sustain state spending for an additional two and a half months. 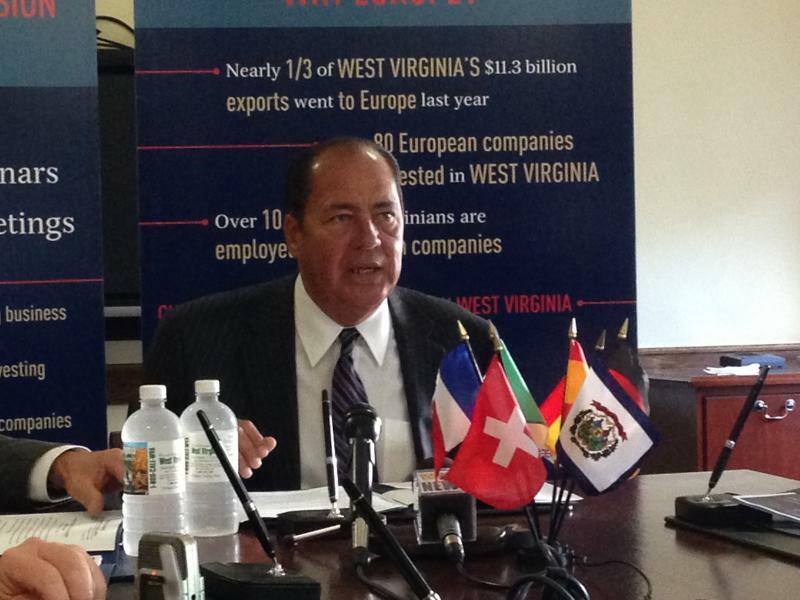 Governor Tomblin announced a trip later this month touring 5 European countries to lobby business leaders for investment in West Virginia industries.